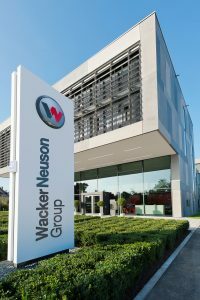 Leading light and compact equipment manufacturer the Wacker Neuson Group saw revenue rise 11.3 percent to EUR 1,706.5 million in fiscal 2018 (2017: EUR 1,533.9 million). Adjusted for currency effects, this corresponds to an increase of 13.3 percent. Business grew across all regions and business segments. The Group benefited here from the continued expansion of the global construction industry, strong demand in its core markets of Europe and North America and the systematic expansion of its sales activities in North America and Asia. At the same time, profitability was bolstered by streamlined cost structures and the realization of economies of scale. Europe remained the most important target region, accounting for 73.2 percent of revenue. Revenue for the region grew 10.5 percent to EUR 1,248.9 million (2017: EUR 1,129.8 million). Germany was the largest single market and a key growth driver, flanked by Poland, Austria, England, France, Spain and Benelux countries. The agricultural equipment business grew at a particularly strong rate. The collaboration between Group affiliate Kramer and US manufacturer John Deere continued to develop positively. Revenue generated by Kramer and Weidemann, the two Group brands serving the agricultural market, increased 18.4 percent to EUR 256.0 million (2017: EUR 216.2 million). Revenue for the Americas rose 11.3 percent to EUR 397.8 million (2017: EUR 357.5 million). Adjusted for currency effects, revenue increased by 16.7 percent. Business development benefited from strong demand in the North American rental industry, in particular for light equipment. Sales of skid steer loaders manufactured in the US increased as a result of improved market penetration. In line with its strategy for the region, the Group is focusing on developing exclusive, highly qualified sales partners known as anchor dealers. Sales of compact equipment manufactured in Europe also rose as a result of the Group’s increased market presence. Revenue for Asia-Pacific rose sharply by 28.3 percent to EUR 59.8 million (2017: EUR 46.6 million). Adjusted for currency effects, this corresponds to an increase of 35.0 percent. China and Australia were the key growth drivers in this region. Last year, the Group bundled its production activities for Southeast Asia at a new plant in China. The site in Pinghu, near Shanghai, started manufacturing mini excavators with operating weights of less than two tons in January. During the course of the year, production was expanded to include light equipment for the Asian market. Then, in December, the Group started to manufacture larger excavators with operating weights of between five and seven tons at the site. Revenue growth coupled with streamlined cost structures meant that profit before interest and tax (EBIT) grew even faster than revenue for the group. EBIT increased 21.5 percent to EUR 159.7 million (2017: EUR 131.4 million). The EBIT margin amounted to 9.4 percent (2017: 8.6 percent). Profit was compromised by increased material prices and bottlenecks in the global supply chain, which had a pronounced negative impact on production processes at the manufacturing sites. Furthermore, exports of equipment manufactured in Europe were squeezed by the price effect resulting from the weak US dollar in the first half of 2018. Costs related to restructuring measures, site closures and the relocation of production activities last year also had a dampening effect on profit. Due to a marked increase in net working capital and the expansion of the company’s dealer network in North America, cash flow from operating activities amounted to EUR ‑18.1 million and was thus negative for fiscal 2018 (2017: EUR 138.0 million). This rise in net working capital was primarily attributable to an increase in inventory and receivables. Bottlenecks in the supply chain for components led to delays in production processes. This, in turn, caused the number of finished and unfinished machines to rise to an above-average level in 2018. At the same time, the Group increased selective stocks of pre-buy engines in connection with the phasing-in of the new EU Stage V emissions standards. Trade receivables also increased markedly, due to the strategic expansion of the dealer network in North America – which the Group is supporting with measures such as financing programs – and the increased volume of business. Free cash flow amounted to EUR -2.9 million (2017: EUR 99.0 million). 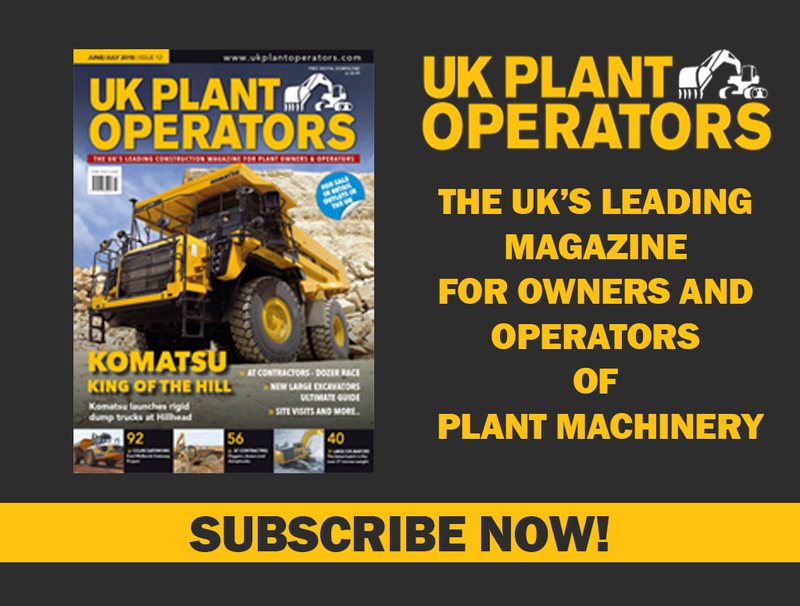 The aim of the Wacker Neuson Group’s medium-term strategy, which it unveiled in March 2018, is to ensure that the company is fully aligned with its customers’ needs. Building on the three strategic pillars of Focus, Acceleration and Excellence, the strategy is aimed at building a streamlined, agile organization and further strengthening its market position into the future. Numerous initiatives were implemented in the past fiscal year. These included reducing the number of global production sites from ten to eight. In the US, the Group focused its production activities at Menomonee Falls, Wisconsin, closing its site at Norton Shores, Michigan. The production plant in Manila, Philippines, also ceased operations. Production of the affected product groups was relocated to the plant in Pinghu, China, which opened in January 2018. To further consolidate the number of production sites, the Group will also close its plant in Itatiba, Brazil, during the course of this year. By integrating internal logistics companies into a production company in Europe and a sales affiliate in the US, the Group has been able to streamline its internal supply chain, reduce complexity and dovetail its production and sales activities more effectively. Global procurement was also transformed into a hybrid organization, allowing the company to accelerate decision-making channels and response times while continuing to leverage synergies. The Wacker Neuson Group made significant progress in expanding its dealer network in North America. Here the Group is forming strategic alliances with exclusive anchor dealers with their own branch network. Last year, the Group entered into an OEM collaboration with John Deere covering mini and compact excavators. This is another milestone that will help the Group expand more rapidly into fast-growing markets in the Asia-Pacific region. The Executive Board and the Supervisory Board will propose a dividend of EUR 0.60 per share at the Annual General Meeting on May 29, 2019 (2017: EUR 0.60). The Group also wants to give its shareholders a stake in the one-off proceeds generated by the sale of a real-estate company held by the Group and will therefore propose an additional special dividend payout in the amount of EUR 0.50 per share. The global economy continues to grow although the pace of growth has slowed in recent months.Risk factors such as the prospect of a no-dealBrexit and trade restrictions are fueling uncertainty. At the same time, however, the trend towards compact equipment in construction and agriculture remains constant and global megatrends such as urbanization are set to provide lasting momentum for the Wacker Neuson Group’s business. TONKA AND TOYOTA HAVE TEAMED UP TO BUILD THIS.